When noted hunter, outfitter and writer Fred Eichler uses a decoy, he reaches for a Montana Decoy Co. He likes them so much that he once again worked hand-in-hand with them to design his signature antelope decoy: the Eichler Antelope. Upgrades include the Quickstand platform, a see-through mesh viewing window and stalking handle. When noted hunter, outfitter and writer Fred Eichler uses a decoy, he reaches for a Montana Decoy Co . He likes them so much that he once again worked hand-in-hand with them to design his signature antelope decoy: the Eichler Antelope. Upgrades include the Quickstand platform, a see-through mesh viewing window and stalking handle. The Quickstand allows you to stake decoys into the ground with one foot, while the cable toe-loop makes removing the decoy from the ground virtually effortless. 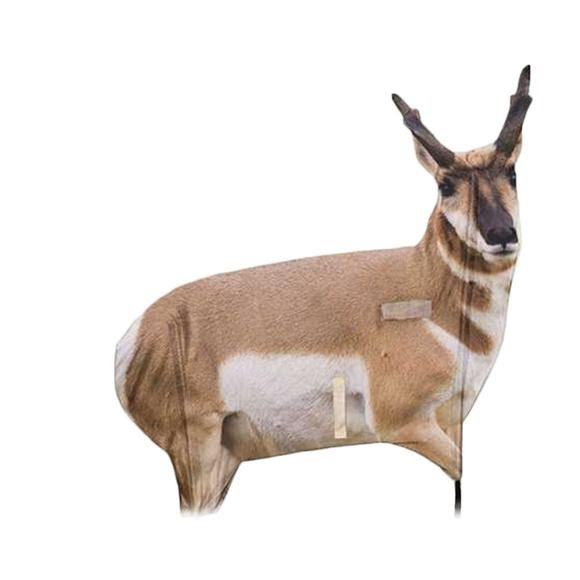 Pair these tweaks with the portability and realism our products are known for, and itâ€™s easy to see why this is the best antelope decoy you can buy. Measurement Folded: 18" x 10", Unfolded: 39" x 37"